Mild or moderate heart failure of ischemic or cardiomyopathic origin, in conjunction with digitalis, diuretics and ACE inhibitors, Hypertension: Monotherapy or in combination. Initially 12.5 mg once daily, increased to 25 mg once daily; max. 50 mg daily single/divided doses. 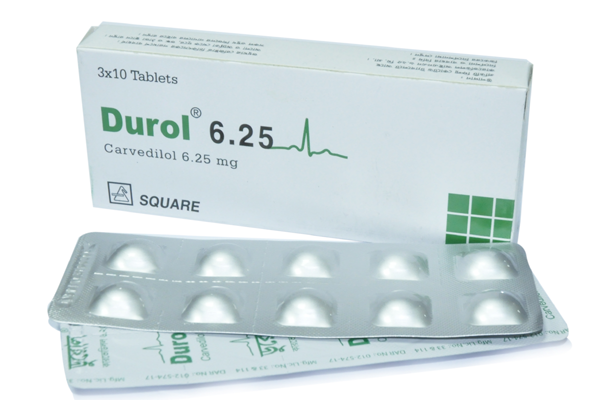 Durol® 6.25 tablet : Each box contains 3x10 tablets in blister pack.